Just to say a great job on my alloy wheel today (even had my tyres blacked) from call for estimate to pick up and return I could not have had better service, and to the very pleasant young man who came to estimate nothing was too much trouble, all firms should take a lesson from him in customer care. Thank you so much for a brilliant repair at a very reasonable price (matched against another local company) and your courteous service. I can definitely recommend Chips Away Cardiff. Minor repair needed to rear bumper after low speed impact caused scratches and trim damage. Ali at Cardiff Chips Away appraised the damage and offered a very competitive price in 10 minutes. The car was booked in within the week and the work was excellent on completion, saving over 80% against dealership price. Thank you very much for such a great job on my car. 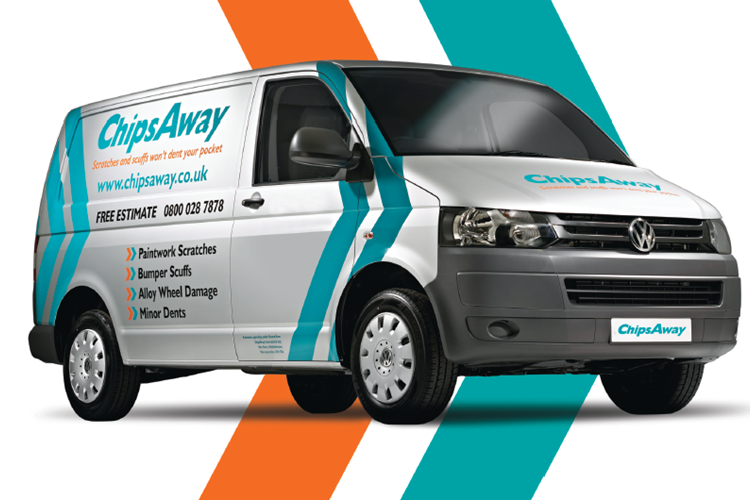 I received excellent service from Alistair Hoy at ChipsAway. He came round to my house to give me an estimate within hours of first talking to him, and was able to fix a nasty, long scratch on my car the following week. Not only was I given a lift into work, and the car dropped ... Read more back at my office before lunch time – but the work on the car was amazing. You could never tell there’d been a scratch, or a re-paint. It looks like new again. The work was seamless. I am very pleased and highly recommend him. Gwen Alistair Hoy in Cardiff really went above and beyond for us. A friend had recommended we use ChipsAway to repair the scratch on the car bonnet - someone had keyed the car during our vacation. Due to our circumstances we had some very challenging time contraints which meant we would no be in Cardiff for long. Initially it seemed like Alistair would not be able to help us in the time we had available, but in the end he fixed the car up like new. We gave him 5 stars for his helpfulness and customer service. I can wholeheartedly recommend Alistair Hoy and ChipsAway Cardiff. Following an appraisal of the work to be carried-out and a competitive estimate, my vehicle was collected this morning as agreed. With a complicated cracked front bumper repair, the re-painting of a rear wheel-arch/back bumper and the removal of a number of bodywork ... Read more scratches and scuffs completed, my vehicle was returned the same day for inspection and approval. I'm equally impressed with the expertise and professionalism displayed throughout and Alistair's level of customer service cannot be faulted. Thank you Alistair for the brilliant work you've carried out today - I will certainly recommend you to friends and family alike and would not hesitate to use your services again. I just had to contact you to say how thrilled I am with the service I have received from Alistair Hoy at his Care Centre in Cardiff. My VW Golf was turned into a convertible by the Fire Service to cut my friend out, with suspected spinal injuries, after we were hit from behind. So after having had my brand new Toyota Yaris only a ... Read more few weeks I was very very upset, to say the least, to find the passenger door covered in scrapes. I went to Alistair, as I had met him at a promotional small business event and was very impressed with his passion about his business. I am absolutely over the moon with how Alistair and his assistant Rob restored my car to pristine condition. I cannot praise him enough. 1st class job by Alistair and his team at Lambourne Crescent in Llanishen, Cardiff. Chips away exceeded my expectations today having used them for the first time to fix a dent and scratched alloy on my fiat 500. I was so impressed with the high level of customer service from the onset. They contacted me quickly to arrange a time to view the car. The person carrying out the assessment was clear in what work it would ... Read more entail the price was agreed and very reasonable. Having previously sought other quotes elsewhere, they had offered the best in terms of value for money. It was also good to have the assurance of workmanship guarantee. I felt 100% confident with going with Alistair Hoy because I knew that his team would look to complete the job for best value for money and the most efficient way forward. Other garages had offered to fix the car but described the job being larger than it needed to be. Detailing how they would take the panel off and then a complete section respray and send the alloy off leaving me without a car for at least a week! Fortunately the work completed was managed to be kept to a small area which meant the job turnaround was completed within a few hours! The standard of the repair is exceptional and looks brand new. I am very pleased with the work and would certainly use them again if needed. Have just used Cardiff Chips Away for the second time and, once again, received a first class service. They carried out the work quickly, efficiently and to a very high standard. I hope I won't have to but would have no hesitation in using them again. I took my Porsche 991 in to Cardiff branch this morning due to a bad mark on top of the RH Front wing. I was a bit afraid that due to not having the complete wing done, the re sprayed section will show up in the light to the original. I am very pleased with the repair and can not tell any difference where the repair area was. I ... Read more will recommend this depot of Chips away to anyone to get repairs done. ChipsAway Cardiff Excellent work. 1st class finish. Hopefully will not need their services again. Would recommend without any reservations. The team at Cardiff Chips Away were fantastic! I had extensive damage to my car which they managed to fix within one day, it now looks like new and I can’t tell the difference! (22/6/18) The staff were lovely and also gave me a lift to where I needed to be after dropping off my car. I will definitely be recommending them in the future! Took my car in 1st thing on Thursday morning,bonnet repaired & sprayed,ready for collection Friday morning 1st class service & job completed to perfection. My local garage quoted 2to3 days to carry out this repair. Well done Team Chips Away Cardiff. First class service from Ali and the team at Cardiff ChipsAway. Alloys repaired and brake calipers painted. Really pleased with the quality finish.